In his opening statement this afternoon to the Senate Budget Committee, Acting Commissioner of Education Lamont Repollet said he recognizes the need for modernizing the school funding formula by addressing adjustment aid and growth caps. “I stand with the governor to work with this body to work on statutory adjustments to the school aid formula,” said Repollet, which the allies of Senate President Steve Sweeney (D-3) wanted to hear prior to voting him out of the senate as a whole. But Senate Budget Committee Chairman Paul Sarlo (D-36) still wanted more detail. 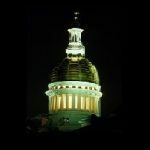 “Any reason why the [$37.4 billion] budget was introduced without a discussion of adjustment aid and growth caps?” A final budget will have to include reworking both, Sarlo said. “Are you prepared to have these difficult conversations with these school districts that are receiving more than 100 percent in state aid?” the senator wanted to know. Repollet told Sarlo he and the Governor are willing to rework and begin to modernize the formula now. Hey, bureaucrats and politicians! We don’t have any more money to give you! No school funding formula will help the middle class taxpayers until Abbott is overturned. The socialist NJ Supreme Court refuses to recognize that their rulings are rapidly eroding NJ’s middle class by wasting billions of dollars in rat hole school districts that continually show no measurable improvement. They don’t even require audits of how our money is being spent. This is the cause and core of NJ’s property tax problem. The Sweeney nonsense about shared services and consolidation will not do it. We’ve been sharing services, where practical, since the early 90s. Plus, the silly notion of providing “incentives” only means more taxpayer money is required. Wake up Trenton! We don’t have $50,000 per year part-time jobs like you. We’re broke!